" Elias was born in 1998. He began playing piano at age five "
Elias was born in 1998. He began playing piano at age five. When he turned ten, he entered the IU Jacobs School of Music Young Pianists Program and studied classical piano with Anthony Weinstein. Elias’s dad bought him an electric guitar for Christmas that year and soon he was giving equal practice time to both instruments. He loved piano, but you can’t hold a Steinway and bend it to your will. 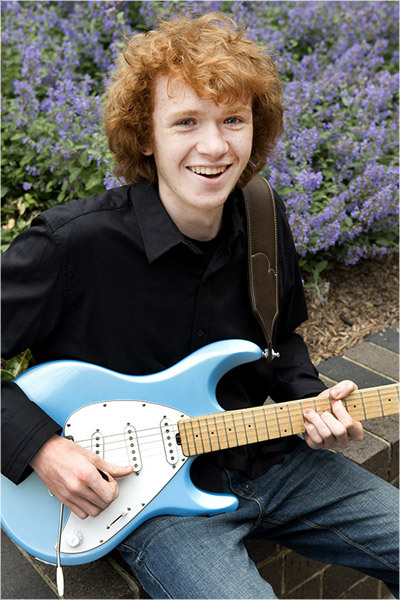 After five semesters, Elias chose guitar and stopped the serious piano practice. Guitar had his heart (thanks to Tim Tryon his first guitar teacher for three years), but he still plays piano at a high level. When he was thirteen, Elias started busking on Kirkwood Avenue in his hometown of Bloomington, Indiana. He wrote his first song just after he turned fourteen, and he fronted his first band, The BlueJays that year as well. He started going to the weekly blues jam at the fabled Players Pub. Elias began to sit-in with bands around Bloomington—the first of those being the Sad Sam Blues Jam featuring fellow B.O.T.G member, Sadie Johnson. Other bands like King Bee & the Stingers gave Elias time in festival slots, and people began to talk about the little kid that didn’t play like one. Elias knew Classic Rock first. His dad loaded his iPod with Hendrix, Clapton, Page, Walsh, May, Mike Campbell, and then, of course, SRV. Elias found the three Kings: Albert, B.B. & Freddie – Muddy, Robert Johnson, Albert Collins and on and on. Then, from up the road in Indy, there was Wes Montgomery and jazz. In 2014, ‘15 & ’16, Elias was the Indiana All-State Jazz Band Guitarist. Elias formed and led several combos when he was in Bloomington High School North’s Advanced Jazz Band. He formed a “high school cover band” called SkyWay to play charity shows for Riley Children’s Hospital. Elias found two great local players, Paul Karaffa (drummer) and Matt Brookshire (bassist). That Blues Rock trio played the bulk of Elias’s shows for a couple of years. Elias was featured on the WTIU (PBS) show “The Weekly Special” during that time, as well as the WFHB Radio “Saturday’s Child” live broadcast. Elias gives private guitar lessons. He is a hired-gun studio session player as well as a fill-in guitarist for bands around Indiana. On May 28th, 2016, Elias was photographed by one of the greatest living rock photographers Robert M. Knight for his induction into The Brotherhood of the Guitar. 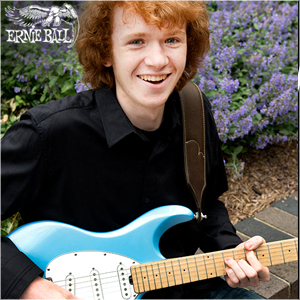 Elias will represent the South Central Indiana Blues Society at the International Blues Challenge Youth Showcase in Memphis in February 2017. He is a guitarist in the Indiana University Soul Revue. Elias’s first EP of original songs, Live with Matt Brookshire & Paul Karaffa, is available at EliasMcDermottSipe.com or for download on iTunes, Amazon, or Google Play.